The Willows is the white property on the right hand side. Beautiful countryside envelopes this romantic cottage near Corfe Castle. The Willows - previously known as Cherry Tree Cottage with Island Cottage Holidays. For a romantic getaway in the heart of Dorset, look no further than The Willows. This spectacular little cottage nestles between Corfe Castle and Harman's Cross and benefits from unparalleled views across the rolling Dorset Countryside. Step inside this picturesque single-storey accommodation and feel instantly calmed by the fresh and bright interior. The owner has lovingly equipped the property with everything you may need for a well-deserved getaway, including spacious, stylish kitchen, en-suite double bedroom and cosy log burner to snuggle up and enjoy a glass of wine or two next to. The Willows is a picture-perfect retreat to enjoy the gorgeous Dorset countryside. 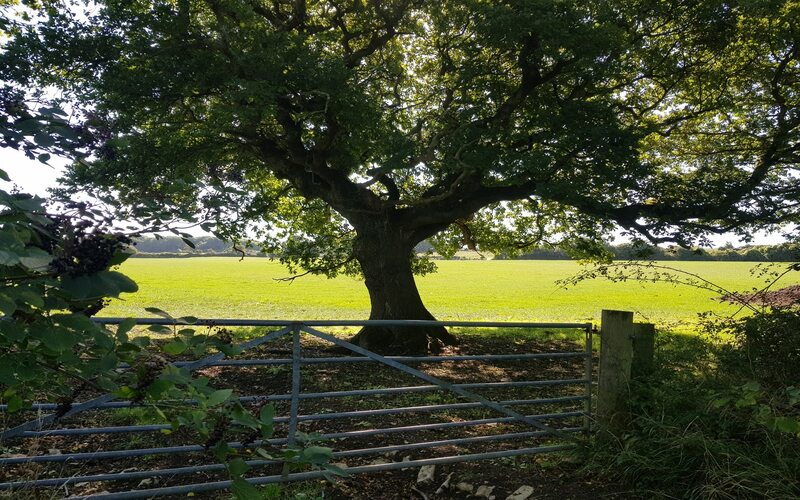 Treat yourselves to a beautiful homecooked meal around the dining table, or why not watch the sun set over the rolling fields on a warm summers evening? From the gated courtyard, you will see the steam train pass by - photo opportunities not to be missed! 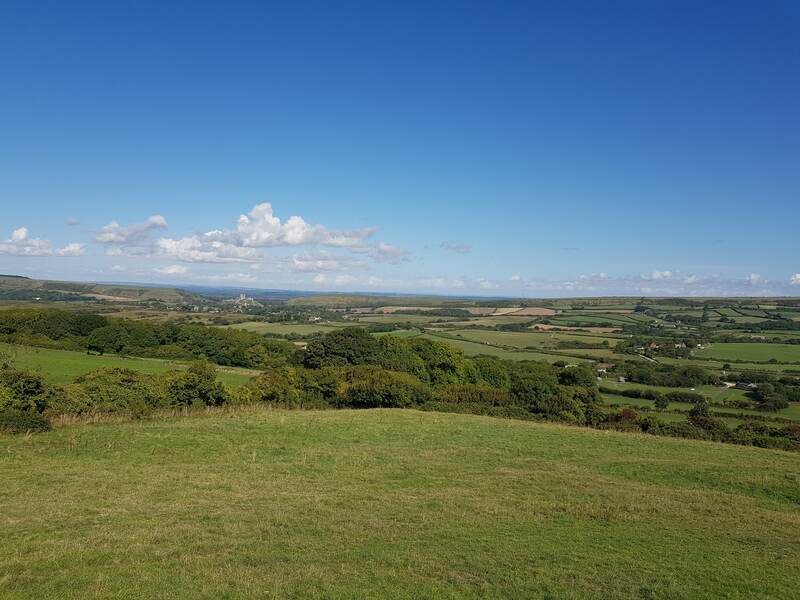 In just 30 minutes, you can take the footpath down to Corfe Castle, where you will find plenty of independent cafes to enjoy an afternoon tea or light lunch. Take a stroll up to the castle itself and enjoy one of the many events that take place throughout the year and soak up the fascinating history of the village. 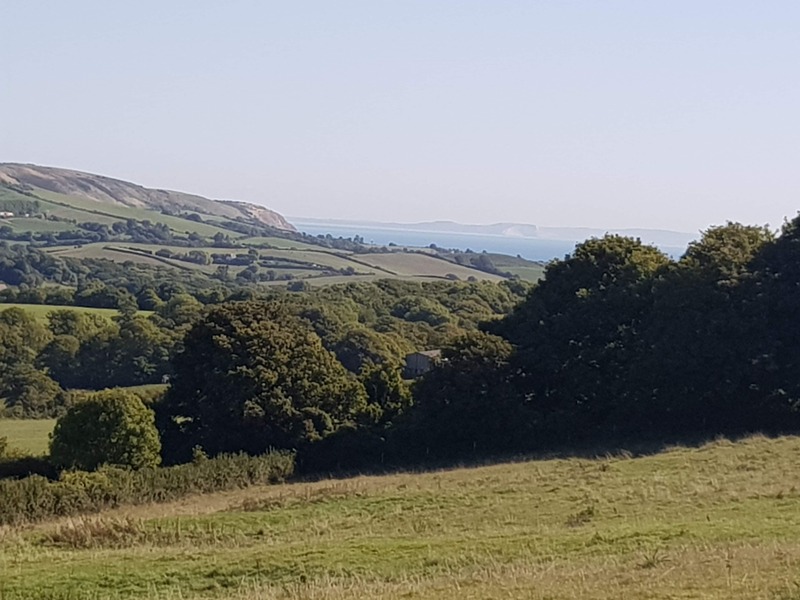 A short drive will take you to the sandy blue flag beaches of Swanage or Studland, where you can amble to the shops, larger restaurants and eateries. The Willows provides a perfect base for a Dorset Cottage Holiday; ideal for cyclists and walkers alike with plenty of routes to explore in the near vicinity. Bikes and other equipment can be stored easily in the lockable garage space to give you extra peace of mind. 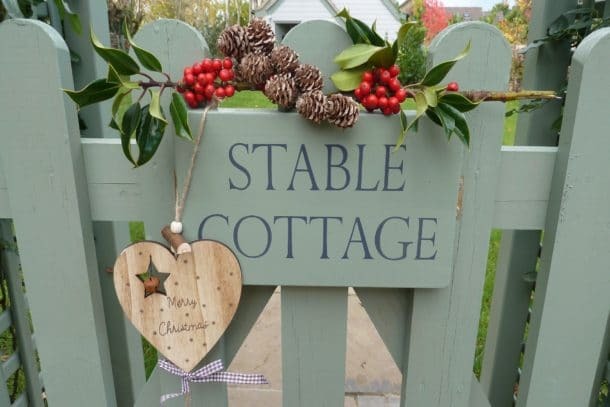 This quaint cottage offers a fabulous romantic stay for two, but offers flexible accommodation for young or extended families, with the option to request 3 extra beds upon booking. One Z-bed for a child is available in the bedroom, and a double sofa bed can be requested in the living area. Please note that this service is charged at £45.00 per person. Please note. The property is within the grounds of a larger property and two friendly dogs may greet you in the communal area of the driveway. F/fl - double bedroom with en suite bathroom, including WC, walk in shower, basin and underfloor heating. Further separate WC. Z bed for child and double sofa bed (in living room) can be made up on request (please note this is chargeable at £45.00 per person per stay). Open plan living room/ kitchen. Living room with 2x sofas, TV with DVD and FreeSat, wood burner. Kitchen with elec hob, oven, microwave, fridge freezer and dishwasher. Adjoining utility room with washing machine and tumble drier. Small walled and gated courtyard with furniture, BBQ available on request. Travel cot and high chair available. WIFI. Please note: the WIFI is generally of good speed, but may be intermittent on occasion due to the location of the property. Linen & towels provided. Off road parking for two cars.